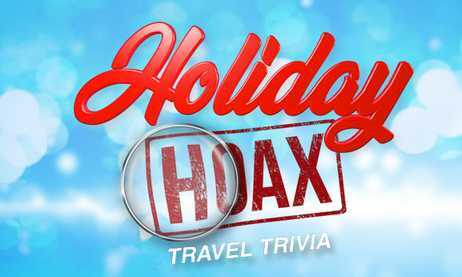 Enter into the Kelly and Ryan Holiday Hoax Travel Trivia Sweepstakes now through January 04, 2019 for your chance to win many amazing prizes during the game period such as retailer gift certificate, gift card, travel, cruise, cash, merchandise, kitchenware, furniture, appliances and more. When To Enter: The Live with Kelly and Ryan Travel Trivia Contest entry begins on November 02, 2018 at 9:00 a.m. ET and ends on January 04, 2019. Who’s Sponsor: The Kelly and Ryan Holiday Hoax Travel Trivia Sweepstakes is sponsored by Buena Vista Television, LLC, 500 South Buena Vista Street, Burbank, CA 91521-0224.